My own term to describe playing at the interface between art and biology with an anarchist streak. 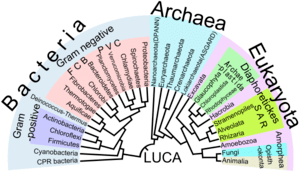 Archaea are a group of slighly weird prokaryotes that use to be thought of as type of ancient bacteria but they didnt quite fit in and were then classified as a new Domain of life. These little bugs are well.. EXTREME; they live in places such as deep sea hot vents at 100C or inside the petroleum deposits deep underground. Considering that up until the latter part of the 20th century there were only 2 known Domains; eukaryotes and prokaryotes [We get excited when we find a single new species] … hang on a moment..these guys found a NEW DOMAIN of LIFE!! Anyway perhaps Anarchaea describes an element of life in another domain, playing at the interface and producing something slightly weird but interesting. Incorporating the term anarchist (which gets a bad press it really means without rulers ‘anarchos’ ) which may describe an essentially individualistic approach seems to combine nicely with the weird and bizarre archaea.